and do what is just and right in the land. and Israel will live in safety. What must it have been like for Joseph and Mary, who had spent their lives hearing these words of Jeremiah recited over and over from the time they were small children, to learn that they were going to have a son, conceived by the Holy Spirit, who would save his people from their sins? What do you think the Israelites believed their promised king would save them from? In a typical day, do you give more thought to your need to be saved from your external circumstances or your need to be saved from the darkness, lust, greed, judgment, or self-centeredness in your own heart? 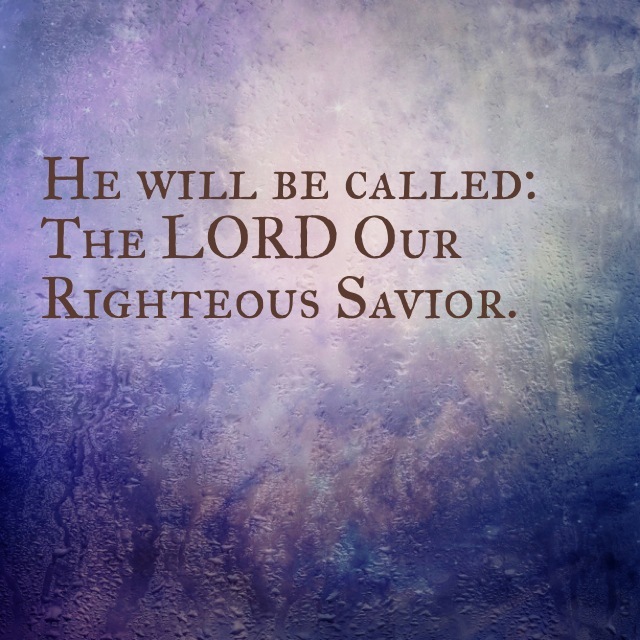 Lord God, thank you for your righteousness. Thank you that you came to save me and make me clean. Thank you that you came down low, and were then raised up as King. What amazing love you have for me that you would intervene in this way! Help me to remember that what you seek to transform is my heart. My circumstances will come and go, but the person you are making me through my circumstances will live with you forever. Please don’t stop conforming me into the image of Christ.